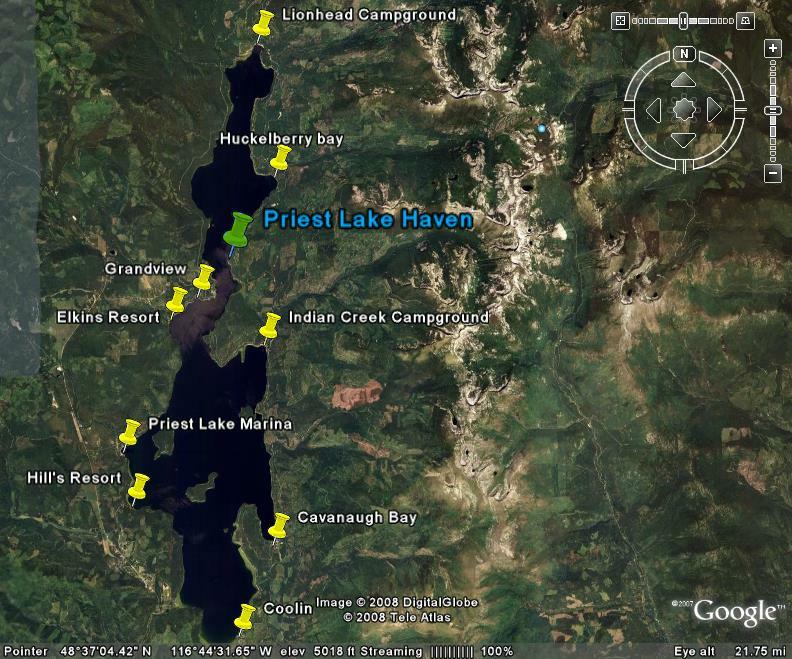 Priest Lake Haven is located on the East side of the lake in an area called, Diamond Park Addition which was land once owned by the Diamond Match company as a logging camp. 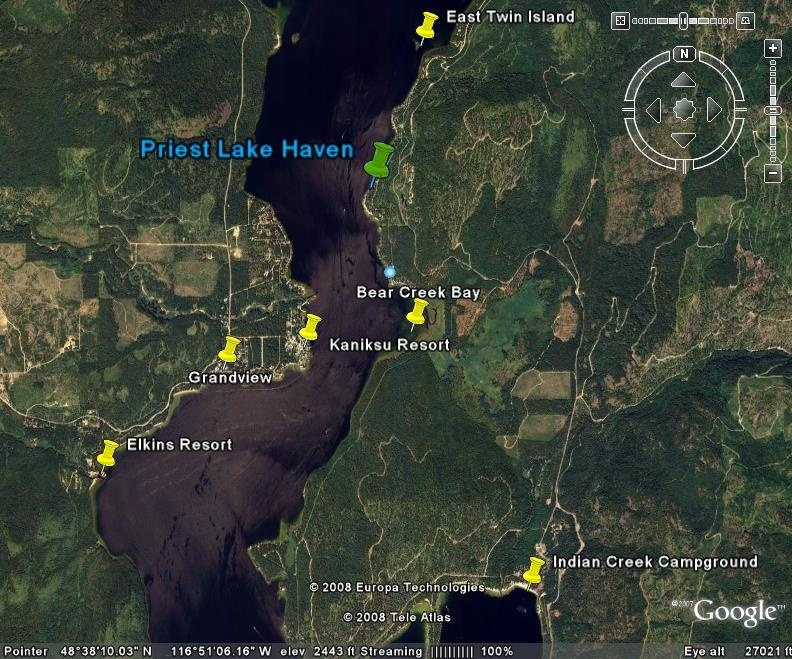 We are approximately 14 miles north of Coolin, 4 miles North of Indian Creek Camp Ground and 2 miles South of Huckleberry Bay. Hill's, Elkin's and Grandview resorts are just a 10 to 15 minute boat ride across the lake.